Rebecca Aris speaks with Dr Stephanie Phelps, professor of clinical pharmacy and pediatrics, on the challenges associated with pediatric pharmacotherapy in pharmaphorum’s pediatric care themed month. Pediatric pharmacotherapy presents many challenges, mainly owing to the lack of available clinical data on the safety and efficacy of drugs commonly used in children. 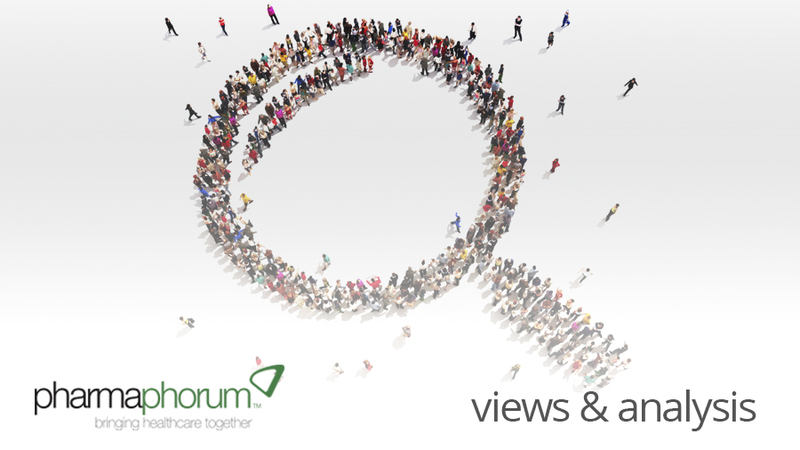 Dr Stephanie Phelps, professor of clinical pharmacy and paediatrics, speaks with pharmaphorum on the challenges and the changes she is seeing in this space. RA: Stephanie, thank you for agreeing to take part. Could you please start by sharing with me your background and current role? SP: I was born in Augusta Georgia, but spent my formative years in Niceville, Florida – a small town in the pan-handle of the state. I developed a love for pharmacy by watching the practice of an independent pharmacist, A.L. Johnson, who commanded the respect of his patients. I attended high school and junior college in the area, before moving to Birmingham, Alabama to pursue a baccalaureate pharmacy degree, which I received from Samford University (‘79). Next I relocated to Memphis, Tennessee where I obtained a doctorate of pharmacy from The University of Tennessee (’82) and subsequently completed post-doctoral training in pediatrics at LeBonheur Children’s Hospital and The University of Tennessee. I am currently a professor of clinical pharmacy and pediatrics at The University of Tennessee Health Science Center (UTHSC) and Associate Dean of Academic Affairs for the College of Pharmacy. For over a decade, I served as Director of Experiential Education of the College. During my career I have been extremely fortunate to have participated in the education of five post-doctoral fellows and over 60 pediatric pharmacy residents. Currently, I serve as editor of The Teddy Bear Book: Pediatric Injectable Drugs and editor-in-chief of the Journal of Pediatric Pharmacology and Therapeutics and have published numerous manuscripts, book chapters, and reviews that focus on pediatric pharmacotherapy. RA: Can you tell me more about “The Teddy Bear Book: Pediatric Injectable Drugs” for which you are the Editor. RA: The Teddy Bear Book, as it is affectionately known, is now in its 10th edition. Over the years it has grown from a 20 page book to one in excess of 300 pages. The tenth edition of Pediatric Injectable Drugs (The Teddy Bear Book) has three new editors. Collectively these editors bring 75 years of pediatric pharmacy practice experience to the book and represent the practice approaches and philosophies of three different institutions. Beyond general pediatric pharmacotherapy, the specific expertise of the editors include critical care medicine, hematology and oncology, infectious diseases, and neurology. This edition of the Teddy Bear Book has been revised to include 232 parenteral medications. Twenty new monographs, some of which are newly marketed drugs, have been added. Previously published monographs have been extensively reviewed and updated to include the most recent literature available. Information included in this text was compiled in an evidence-based manner from, in most cases, the primary literature including case reports, observational reports, and comparative trials. Limited information is available for some of the frequently used older drugs in which case recommendations may come from textbooks. Importantly, the references are provided in the back of the book according to generic drug names, thereby allowing readers to access the source of the information provided and make independent decisions related to their specific patients. This edition will be expanded to include an electronic version that is accompanied by an application for both IOS and Android systems. RA: What trends have you noted in the pediatric injectable drugs space? SP: Consistent with all of medicine, the availability of parenteral drugs has increased exponentially over the last decade. The complexity of information about these products combined with a continued lack of information regarding their use (dose, administration, rate, complications) in pediatric patients of all ages make information about these medication critical to safe and effective practice. If this were not difficult enough, the problem of frequent drug shortages requires pharmacist to have even greater knowledge about products. RA: And, as the editor-in-chief for the Journal of Pediatric Pharmacology and Therapeutics, what trends are you noting in the pediatric pharmacotherapy space in general? SP: Pediatric pharmacists are committed to creating new knowledge and sharing their experiences about drug use in patients of all ages. This is especially true of neonatal and critically ill populations. We have also seen the publication of pediatric pharmacy specific textbooks that are focused on disease prevention and management. RA: What are the biggest challenges with pediatric pharmacotherapy? SP: Unfortunately, the challenges have not changed in the three decades that I have been in practice. The pediatric patient is still a therapeutic orphan that is not always proactively considered in drug development and clinical research. As much as 75% of all medications used in this population are not approved by the Food and Drug Administration (FDA) for use in either the specific age group or disease for which it is administered. Despite the National Institute of Health creation of the Pediatric Pharmacology Research Units (PPRUs) and the Food and Drug Administration Modernization Act (FDAMA), much of the necessary research to validate safety and efficacy of medications has yet to be conducted in all pediatric populations. The impact of FDAMA has been important as more than 100 industry-sponsored studies have been conducted, but much of the effort has not included premature and full-term neonates and infants. The reasons for lack of information and subsequent FDA approval is multifactorial and relates to priorities in the pharmaceutical industry and federal funding, the belief that we need to “protect” our most vulnerable from medication-associated harm, and ethical considerations such as voluntary participation and informed consent / assent, which in many cases is not possible to obtain due to the patient’s young age. All stakeholders must continue to proactively discuss the issues that surround drug research and prevention of therapeutic misadventures in the pediatric population. RA: You have contributed to clinicians understanding of treatment of seizure – how have you achieved this and what key messages are you disseminating? SP: I have achieved this though publication and presentations. My perspective in the treatment of seizures is somewhat unique as I have epilepsy that I developed as an adolescent. Since becoming Associate Dean, I no longer practice, but my main message today is the need to increase medication education to all stakeholder and to enhance medication adherence in this population. RA: What do you think the pediatric pharmacotherapy space will look like in ten years times? SP: I think that transitional care from the hospital into the community will become increasingly important for those patients with chronic illness who are at risk for unnecessary readmission. The pediatric pharmacists can play a major role in insuring that prescribed medications are not only filled following discharge, but that the parents / patient are educated about the safe and effective use of therapy and the need for adherence. I also believe that the number of pediatric pharmacist who practice in the ambulatory care arena will increase over the next decade. Dr Stephanie Phelps is a professor of clinical pharmacy and pediatrics at The University of Tennessee Health Science Center (UTHSC) and Associate Dean of Academic Affairs for the College of Pharmacy. She is an elected Fellow of ACCP, APhA, and PPAG and a Board Certified Pharmacotherapy Specialist. Over the years she has held elected offices in AACP and ASHP, has served on the Board of Directors of ASPEN and PPAG and has chaired the Pharmacy Academy of the National Academies of Practice. She has been honored with the 1999 APhA-Academy of Student Pharmacists Outstanding Chapter Advisor Award, the 2009 Tennessee Society of Hospital Pharmacy’s Distinguished Service Award and PPAG’s 2011 Helms Award for Excellence in Pediatric Pharmacy Practice. In addition, she has received numerous teaching awards and was the first pharmacy faculty member elected to the UTHSC campus Academy of Distinguished Teachers. During her career she has participated in the education of five post-doctoral fellows and over 60 pediatric pharmacy residents. She is editor of The Teddy Bear Book: Pediatric Injectable Drugs and editor-in-chief of the Journal of Pediatric Pharmacology and Therapeutics and have published numerous manuscripts, book chapters, and reviews that focus on pediatric pharmacotherapy. How can we improve medication education for the pediatric population ?